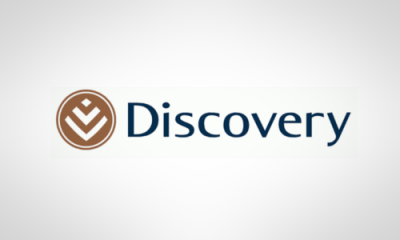 InsuranceFundi | Discovery Vitality gym membership - Ensuring you stay in shape! Discovery Vitality gym membership | Ensuring you stay in shape! My guess is that more than half of the gym bunnies you see pumping a bit of iron or spinning themselves into frenzies at your local Virgin Active or Planet Fitness gym are Discovery Vitality members. The discounted gyming carrot is what actually got me hooked up to Discovery Vitality in the first place (It’s also pretty cool if you’re looking for discounted life insurance as well!). I’ve always been a little skeptical about loyalty programs but the Discovery Vitality Gym benefit does make sense if you are actually keen to work out. Considering losing a little weight and tightening up those buns without having to break the bank? The Discovery Vitality Gym benefit could be your knight in shining lycra. If you wanted to join your local Planet Fitness Gym you are in for R445 per month (at the time of writing this article). That’s 5,340 bucks a year. Pretty steep in my opinion. Well their gym fees vary from one club to another. My local Virgin’s rates are R369 per month or R4,428 per year. Better, but not nearly discounted enough. Surely it’s got to be cheaper to work out than either of the above? As a Discovery Vitality member your Planet Fitness or Virgin Active membership fees are subsidized by Discovery. Yip, they pick up 80% of your monthly membership. That’s pretty cool, isn’t it? So instead of paying R445 per month with Planet Fitness, you pay R89 per month. Ok, so if Discovery are subsidizing 80% of the gym membership, what would it cost me to join Discovery Vitality. Good question. It’s 125 bucks a month for the Vitality Membership. Discovery Vitality Membership R125 per month + R89 per month Discounted Planet Fitness Membership = R214 per month. That’s still more than a 50% saving on your gym fees! Sounds good, let me grab my water bottle and towel.. Hold on. One little catch..There is a once off joining fee of R645 before you can activate the membership. Is it still worthwhile? Let’s have a look at the cost over a year. A grand total of R3,213! That’s still a R2,128 saving and a gym membership fee (country wide) of only R268 per month. Not going to get gyming for much cheaper than that! Hi, I fully agree with you on the subject of Discovery Vitality Gym Membership. I am a member of a Virgin Active gym with Vitality membership. I joined in 2005 and if I can recall correctly paid R400.00 odd activation and no monthly fees if I keep up with my visits. I added my wife two years ago and had to pay considerably more for activation and now pays R 138.75 for her monthly. The saving is worthwile. Now something for thought.The Virgin Active Gym is appr. 20 km from where I live. That adds the costs of 40km round trip for each gym visit. now there is a Planet Fitness Just Gym opening appr. 3km from my house in a couple of weeks. Brand new, but no swimming pool. I actually enjoy swimming and made some calculations, compared the pros and cons on a point scale that indicated that the switch to Planet Fitnes would be more beneficial but I still feel uncomfortable for the switch. But keep on training is a must.